I do have issues with Amazon on a number of fronts including their reviewing criteria and oversight and also their treatment of Indies who are not affiliated into one of their Kindle programmes. I have no problem paying commission to a book seller but recently they hiked that for non-Kindle book authors which is I consider to be unfair. 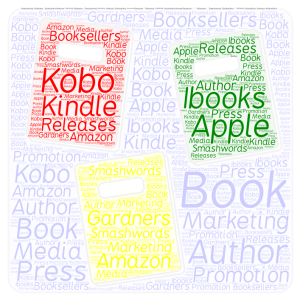 There is quite a bit of benefits thought to not being affiliated to Kindle in as much as it offers me a great deal more freedom about where I do sell my books and how I share them. This includes having my own selling site where I can offer my books at a much reduced cost because there is no sales tax, VAT or commission. A Huge Welcome for #RRBC Spotlight Author ~ RHANI D’CHAE! Today it’s my very great pleasure to host wonderful author, Rhani D’Chae, during her Spotlight Author month on #Rave Reviews Book Club. And, without further ado, let’s hear from Rhani herself! And so begins a most incredible devotional handbook for mothers going through pregnancy; especially for the first time. Fathers, too, will enjoy this journal of a sort as both parents read the daily passages, until their baby, who listens all those months, enters the world, already knowing love of God and parents. Every woman faces pregnancy with multiple emotions—happiness, love, trepidation and fear of the unknown. Author of children’s books and poems, Deirdre Tolhurst writes ‘a labor of love’, pun intended, and structures it with interactive ‘read aloud’ passages and messages to the child growing in the womb, adding prayers and blank lines for the parents to add their own thoughts. The pregnancy becomes shared by mother, father and child(children), forming a deep lifelong bond. This talented writer, speaker and devotional blogger has written one of the most beautiful books that I’ve read. Initially written for her own grandchild, the emotions evoked through conversations with the baby and God bring smiles and tears to the reader—often at the same time. Deirdre skillfully adds practical information on exactly what the mother is experiencing throughout the different trimesters of her journey into motherhood. She also includes schedules of the baby’s progress from conception to birth, sometimes things that doctors are often too busy to relate, yet are of so much comfort to the new parents. There is nothing more beautiful than bringing a new soul into the world. As parents pour out their love aloud each day for both their child and God, who is love, it makes having a baby as much a spiritual occurrence as a physical one. This lovely book is written as a gift for all parents and children, and is a deeply emotional experience; which helps as the family continues to grow with God as their mainstay in life. “Dear Child of Mine,” is truly an heirloom for the unborn child and will be a lifelong treasure to all who undergo the God-given miracle of childbirth.